The whole world appears to be flocking to Dubai, and so does its artsy portion. 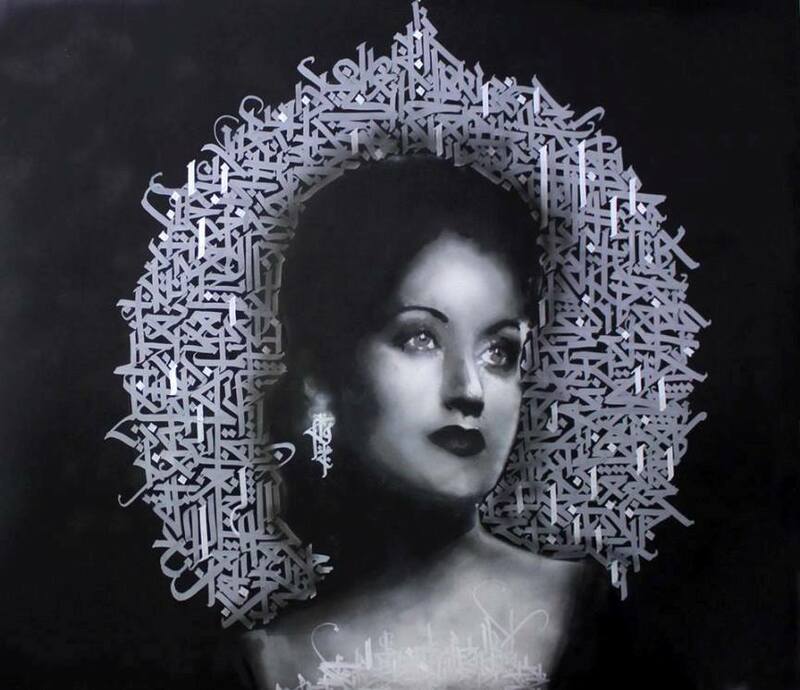 Local Arabic galleries do offer a great selection of Middle-Eastern, Asian and African artists, but a bigger number of European and American creatives is yet to enter the market. Still, shows do go on, and so do the art fairs in this UAE rising star of a city, as is the one announced by Graffik Gallery from London and the Courtyard Gallery from Dubai. 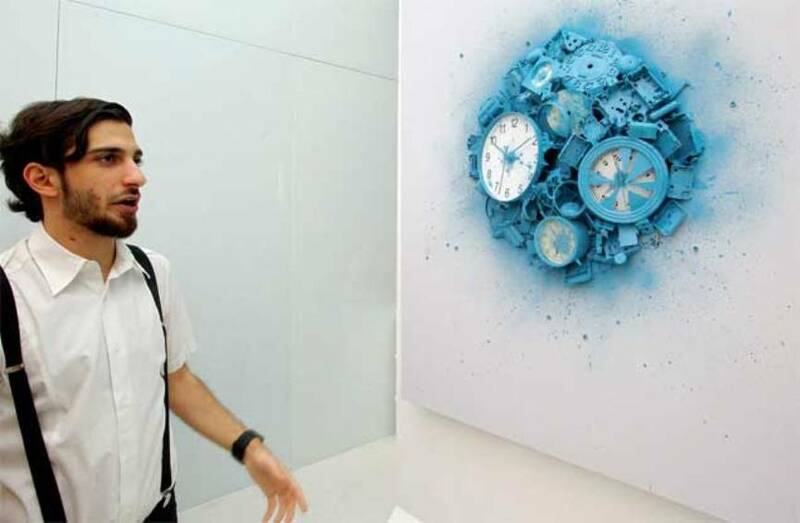 The collaborative exhibition of the two contemporary art galleries will be presenting the first Dubaian Pop Wall. The wall of the Courtyard gallery will be adorned with pop artworks by a selection of established artists from the UK and Japan represented by Graffik, and complemented by a selection of Middle Eastern artists from the Courtyard pool of talents. Pop Wall exhibition will run throughout the month , opening on March 16, and staying on view till April 17, 2014. 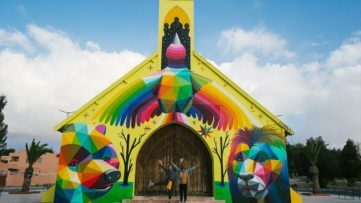 All the Dubai residents, passers-by and tourists should make a stop and check out this interesting setup of contemporary world pop art, and maybe attend a live painting event, as they have been announced as well. 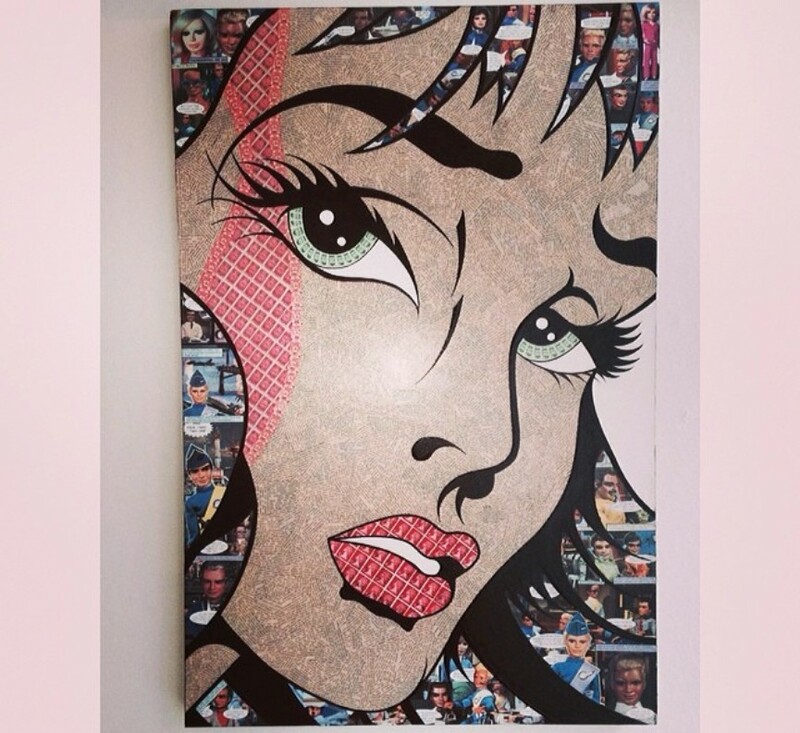 Pop art scene in Dubai has been increasingly popular in Dubai lately, and the Pop Wall exhibit will bring an array of works executed in various media, from acrylic and spray paint, to screen prints and even reimagined fashion accessories. The artists showcasing their work at this occasion will be The Dotmasters, Robin Coleman, iCON, Trust, Binty Bint and Aito from Graffik, and Yazan Halwani, Saif Chilmiran, Raafat Karimeh and Maria Iqbal from Courtyard. Each of the pieces hung on the Pop Wall will exhibit a particular pop art style, principally influenced by the artists’ background. The Lebanese Yazan Halwani draws calligraphic lettering around his portrayed characters, taken from the streets of his home country. 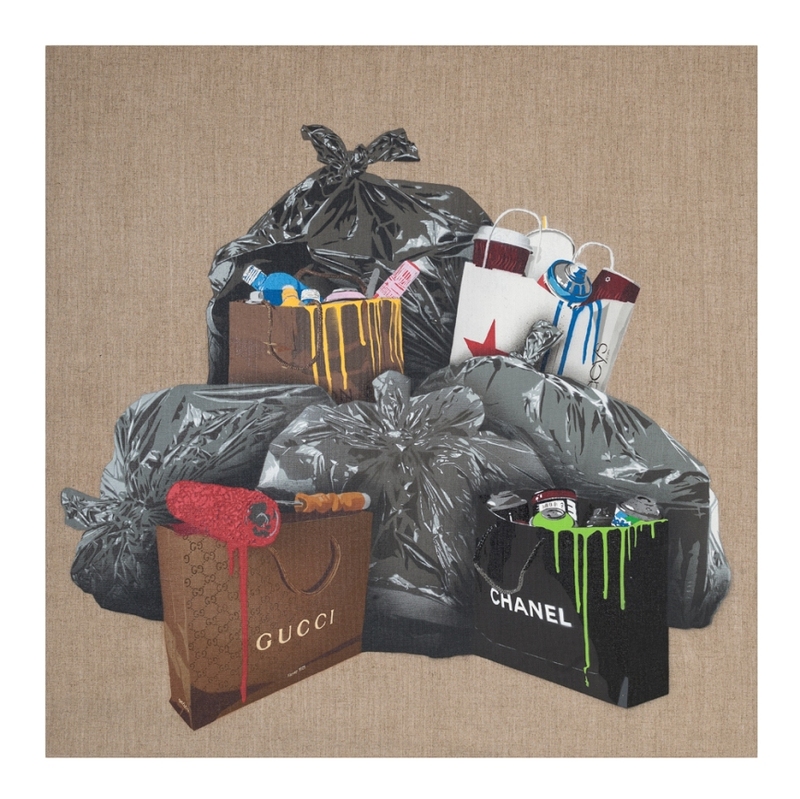 The Dotmasters, on the contrary, overtly criticize the consumeristic culture by deliberately depicting trash bags labeled with some of the most famous names of high fashion. The show will be hosted by the beautiful new space of the Courtyard Gallery. The location of this Dubai gallery is set in the up and coming artistic neighborhood of the metropolis, where art fairs are held and even a graffiti hub has been created recently. 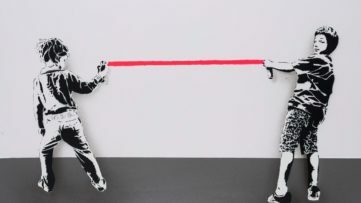 One of the perks of Pop Wall are the promised white canvases outside the gallery, where artists and visitors alike will be enabled to spray paint their own visions of pop art. Graffik Gallery is situated in the Notting Hill, London. It is dedicated to showcasing luminaries of the street art movement, and has a lovely garden where many artistic and promo events are hosted. 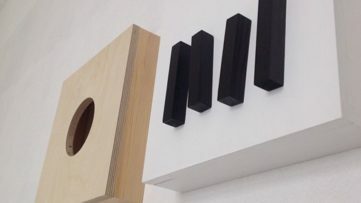 The gallery is known for aiding emerging artists to make an impact in the competitive art market. The Courtyard Gallery in Dubai was opened in 2000 as the first contemporary art gallery in the Al Quoz industrial quarter. The space is oriented towards international art scene, promoting established and contemporary artists, with a special attention given to artists from the Middle East. It was the first gallery in this part of the world to host exhibitions by globally famous creatives of modern and contemporary art, such as Renoir, Dali, Bernard Buffet, Albert Deman and Louis Troffoli.